Posted on July 5, 2017 by Norwich Radical	in Community and tagged Chelsea, cladding, corporation, disaster, fire, Grenfell, James Charteris, Kensington, Norfolk Wildlife Trust, norwich, planning, profit, Rock Feilding-Mellen, Rydon, safety, Socially Conscious Capital, Thorpe Woodland, UKIP. Almost nine million pounds worth of refurbishment was completed on Grenfell Tower by Rydon and many other groups in May last year (though the “successful” refurbishment of Grenfell Tower has disappeared from Rydon’s website). The work included new exterior cladding, replacement windows and a communal heating system. The bottom four floors were also made into new communal spaces. However, nothing was done to satisfy residents, even after years of complaints by Grenfell Action Group, about the safety of the building. The local council even threatened the campaign group with legal action if they were to continue their pursuit. Rock Feilding-Mellen was, until last week, the manager of the housing committee that supervised the redecoration of Grenfell Tower, including the fitting of the cladding on the exterior of the building. There is no indication yet that he knew anything about the fire safety failings of that exterior cladding. As with most cases of gross misconduct by a corporation, it is difficult to judge fault as the power structure within the corporation is so complex that it is challenging to pinpoint exactly when and by whom decisions were made. Disasters like this rarely lead to personal prosecution. Locally, Thorpe Woodland – aka the Racecourse Plantation – is the place where residents are battling unwanted housing changes, and Feilding-Mellen plays another important role. He is director of Socially Conscious Capital, the development firm behind a bid to build 300 homes in Thorpe Woodland that was recently turned down. In both cases, housing is the key issue in a battle between a small but vocal opposition and a corporate group. Proposals to develop the Racecourse Plantation have been common over the last decade, with applications being made in 2011, 2013 and 2016. The figures distributed by the firm about their proposal might sound reasonable to some, but many of their fundamental points were ill-conceived. For example, in 2011 the idea was to build 800 houses on the site, but this was reduced to 300 in the most recent bid. It isn’t such a great leap, then, to suggest they might still want to build another 500. 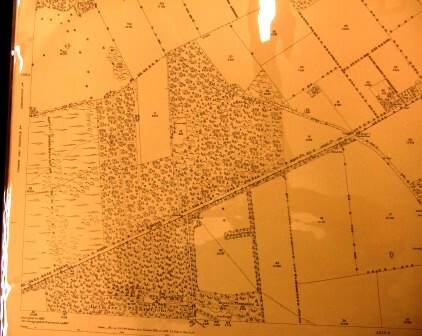 The firm also suggested that the woodlands were only planted as recently as the 1950s, but an Ordnance Survey map from 1882 shows them firmly in place, making them 130 years old at least. Additionally, the firm claimed that the woodland is a commercial forestry plantation intended to be harvested, which they suggested is the only profitable use for such a woodland. Again, profit seems to come before all else. In actuality the ecological value of the woodlands is especially high for an area in Norwich, and the woodland was officially recognised as a County Wildlife Site by Norfolk Wildlife Trust in 1997. These suggestions put forward by Socially Conscious Capital were made during a public session of events in 2010. In both cases, housing is the key issue in a battle between a small but vocal opposition and a corporate group. What these claims show is the same lack of regard for public interest by a development firm, demonstrated so violently at Grenfell. Now, in Norwich, residents are hopeful that the recent decision to reject the building proposal will finally end the debate about Thorpe Woodland’s future. I would like to see building projects in which unused and dilapidated buildings in and around the city are transformed into small, modern, environmentally sophisticated and economically viable homes for the many. This would be the smart and morally just direction. Expansive areas covered by large homes in a city woodland is not the answer. At Grenfell Tower, it was not that the decisions made by Feilding-Mellen and the housing committee were malicious in intent. Instead, it was that finance had clearly obstructed what should be most important. Socially Conscious Capital states that it aims to create building projects that are environmentally sustainable, economically sustainable, socially sustainable and physically sustainable for hundreds of years. Rock himself is from a particularly progressive and bohemian (though, cruelly elite) family, though none of this seems to get in the way of personal financial sustainability. The cost to use more fire-resistant materials at Grenfell Tower was about £293,000. Kensington and Chelsea Tenant Management Organisation paid Nicholas Holgate and Rock Feilding-Mellen £180,000 a year each. Furthermore, the stepfather of Rock Feilding-Mellen is James Charteris, an evil figure who runs a real estate fund management group and has personally donated tens of thousands of pounds to UKIP. The bias is clear and vile. What happened to Grenfell Tower, and what could have similarly happened at Thorpe Woodland, is a misdirection of money. What happened to Grenfell Tower, and what could have similarly happened at Thorpe Woodland, is a misdirection of money. Saving money should not be a priority when dealing with human safety, ecology and the environment. However, at Grenfell Tower especially, it is still a key priority for many wealthy corporations. Attempting to face issues of living standards, environmental stability and ecological building with the omnipresent eye of the money lender creates a cloudy and blurred atmosphere where illogical and potentially catastrophic decisions are made by those with stated good intentions. It is not necessarily that you should never trust a rich person with the needs of the poor, but there should absolutely never be a penny to be made.